Source: International Journal of Facility Management, Vol 4, No 1 (2013), via http://www.4Clickscom – Premier cost estimating and efficient project delivery software for JOC, SABER, IDIQ, SATOC, MATOC, MACC POCA, BOA, BOA… including exclusively enhanced 400,000+ RSMeans line item cost database, contract/project/document management, and visual estimating/QTO. Facility / Infrastructure Life Cycle Cost: Costs associated with designing, acquiring, constructing, adapting, maintaining, repairing, and operating a built structure. While Value Management is used as term in this paper, it is arguably interchangeable with Capital Planning and Management (CPMS). The latter is a process involving the construction and management of physical and functional conditions of a built structure over time. It is the aim of this paper, to present the complexity of the body of knowledge capturing the range of conflicting assumptions and understanding on the theories and practices of value management (VM) and life cycle-cost (LCC). Life cycle cost in facility construction projects is a management tool that is used to analyze the cost of constructed facilities in terms of cost of acquiring the facility and as well as maintaining and operating the facility. It makes a lot of sense to consider the capital costs of projects with their associated operation and maintenance costs. This is so that the project that is procured would economically viable through its entire life span. The recent increase in demand for sustainable or green buildings is further making the consideration of life cycle cost an issue. However, life cycle of the project alone is not sufficient as source of creating value to the clients and end users. Consequently, the need for value management emerges. Based on extensive literature review this paper has shown that the life cycle costing techniques is a tool in the value management methodology an basic finding from the connection is that both VM and LCC can be embedded into the wider context of FM. In this paper, our aim is to represent the complexity of the body of literature capturing the range of conflicting assumptions and understandings about the theories and practice of VM and LCC. Before proceeding however, it is important to acknowledge what although we attempt to offer a balanced portrait of opposing views, our opinions and biases will come through whether we want them to or not. Although we are more comfortable with usual impersonal academic writing style, we believe it will help readers to differentiate what we believe from what other believe if we are honest and explicit about where we stand on some of these issues under investigations. We do this here and again wherever we view it is necessary. This kind of discussion of the preference and opinions of an author is reflexivity paradigm, and it is particularly important in value management issues, in which so many divergent assumptions are often left unsaid or asserted as truth. While some could argue that some issues are better left unsaid, it is not at any one interest to continue to pretend as everything is right and thus failed to present our side of the case. At least, this could serve as impetus to some writers and commentators. Published literature revealed a wide range of opinion which tends to polarize either towards life cycle costing or value management. In other words, there are misconceptions and misunderstandings as to which of the two techniques is more involving, proactive and can ultimately create and sustain best value for construction projects. However, the purpose of life cycle costing is to maximize the total cost of ownership of the projects over the project’s life span (Morton and Jaggar, 1995 and Arditi and Messiha, 1996). It is also defined as the total cash flow of the project from the conceptual stage to the disposal stage (Bennett, 2003). Life cycle analysis takes into account the capital costs of the project as well as costs of operation and maintenance. The fundamental issue in the LCC is the determination of the operation and maintenance costs of all possible alternatives which are then discounted to present worth of money (Pasquire and Swaffield, 2006) for analysis. However, while selecting alternative proposals or elements, the criteria of selections are more than just the issues of total costs. Many criteria, in addition to the cost criterion must be analyzed and adequately considered if maximum value is to be delivered to the client (Ahuja and Walsh, 1983). VM takes into accounts all the criteria that the client / user desire in their project. Value management involves the identification of the required functions and the selection of alternative that maximize the achievement of the functions and performance at the lowest possible total cost (Best and De-Valennce, 2003). The value management approach reduces the risk of project failure, lower cost, shorten projects schedules, improve quality, functions, performance and ensure high reliability and safety. While, life cycle costing is useful when a “project” has been “selected or defined”, value management is introduced much earlier. Value management is introduced when a decision has not been made yet either to build or not. At this stage, the “project” is still soft; the client’s solution to the client’s problem might not even be constructed facilities. For instance, if a client wants higher return for investment, value management is introduced to determine the kind of project that will provide to the client the expected return on investment (Kelly and Male, 2001). Perhaps the project in this case may be for the client to invest in agricultural activities. So from the beginning, the clients and other stakeholders are explicitly aware of the kind of project in which to invest. This paper used literature review to achieve its aim. The remainder of the paper is organized as follows. It commences in II “epistemology of reflexivity, in this section, overview of reflexivity are presented. This section is preceded with the section on the “introduction”. Section III; dwell on the “principle of life cycle costing”. The section III reviews literature on the technique of life cycle costing. The purposes and methodology of the technique were provided and discussed. In section IV, the principle and methodology of value management were discussed. In this section, explicit references on the two important phases in the value management methodology where life cycle analysis is mainly used were outlined. Analytical comparisons of the two techniques are then presented in section V as discussion. However, before detail information on comparing the two techniques is provided, linkages between facilities management, value management and life cycle cost are provided. A basic finding from the connection is that both VM and LCC can be embedded into the wider context of FM. The paper is concluded in section VI by bringing together major themes of the paper in: “conclusion and observations”. Research could involve quantitative or qualitative data or both. The degree of influence the researcher has on a research depends on the type of data being collected. For instance data collected through interviews are more prone to bias as compared to survey questionnaire instrumentation. Being reflexive involves being conscious on how the researcher’s personal values, opinions, views, actions will not creep into the data collection, analysis, results and interpretations. For instance, bias could also creep into research because of how the researchers analyze and interpret previous related works-i.e. through literature review. However, bias could creep into research knowingly or unknowingly. According to Dainty, there is a “traditional of reflexivity in qualitative enquiry where researcher openly questioned the effectiveness of their research methods on the robustness of their results and debate the influence and effect that their enquiry has had on the phenomena that they have sought to observe” (Dainty, 2008). Cohen, et al., (2006) also outlined that reflection occur at every stage of action research. In that regards, in actual practice, biasness is difficult to eliminate in all type of research. However, being aware of it and the ability to control or minimize it is the most important element in research. In order to minimize biases, researchers should apply to themselves the same decisive criteria they set for other people works to pass through (Cohen, et al., 2006). However, we are consciously aware of the effects of the reflexivity on this study. In other words, we recognized the influence our sentiment, perceptions, values, feelings, thoughts and understandings may have on this study. For these reasons, we have made all possible efforts to be on the fence– yet to be decisive and analytical. In other words, as far as this issue is concerned, we have not taken a neutral position but a middle course position. While information on the exact time, on the origin of LCC and the time it was first applied to the construction projects is not available, but it can be safely concluded that it preceded the VM techniques. Life cycle costing is also being referred to as whole life cost or cost-in-use. However, life cycle cost is preferred here as it is the most familiar time term even among the practitioners. Regardless of the nomenclature, the main purpose is to consider future costs in the determination of true cost of projects. In other words, LCC is a technique that is used to relate the initial cost with future based costs like running, operation, maintenance, replacement, alteration costs (Ahuja and Walsh, 1983; Morton and Jaggar, 1995; Bennett, 2003 and Kiyoyuki, et al., 2005). Elsewhere, it is defined as the total cost of project measured over a period of financial interest of the clients (Flanagan and Jewell, 2005). LCC enables a practical economic comparison of the alternatives, in terms of both the present and future costs. This is to allow in the final evaluation, to find out how much additional capital expenditure is warranted today in order to achieve future benefit over the entire life of the project. It is therefore the relationship of initial cost and other future based cost. Certainly, there is a need to relate capital cost with operation and maintenance costs in order to procure buildings that present value for money invested to the clients. This requirement is becoming more of a necessity with the increase in drive and subsequent demand for sustainable or green buildings. Since the 1960s, studies have shown there are the needs to balance capital costs against the subsequent maintenance costs of the buildings (Seeley, 1996). Various terms – value engineering, value control, value analysis and value engineering- have been used to describe the principle of value engineering. However, in this paper all the terms are synonymous. 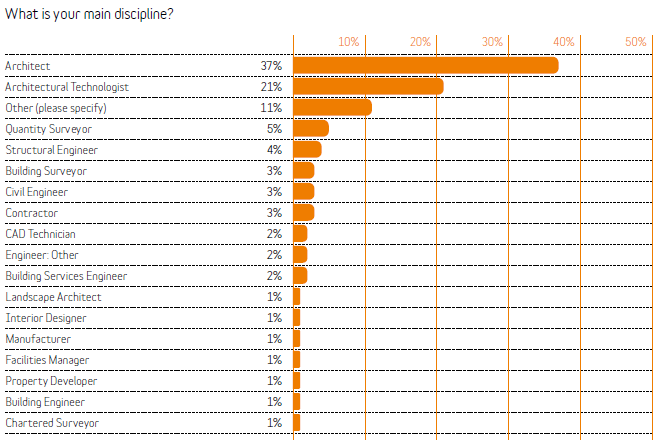 The most common are value management and value engineering, though. The two terms are used interchangeably in this paper. VM was developed due to shortage of materials and components that faced the manufacturing industry in the North America during the WW11. VM is both problem solving and problem seeking processes. As a problem seeking system, it identified problems that might arise in future and develop or identified solution to the problem. Value management is a proactive, problems solving management system that maximizes the functional value of a project by managing its development from concept stage to operation stage of a projects through multidisciplinary value team (Kelly and Male, 2001). It make client value system explicitly clear at the project’s conceptual stage. It seeks to obtain the best functional balance between cost, quality, reliability, safety and aesthetic. The approach could be introduced at any stage in the projects’ life cycle, but it is more beneficial if it is introduced from the pre-construction phase of the projects; before any design is committed (Ahuja and Walsh, 1983). The tools and techniques of VM push stakeholders to provide answers to questions that might not ordinarily be considered if other approaches were used (Olanrewaju and Khairuddin, 2006). Value engineering identifies items of unnecessary costs in a project and develops alternative ways of achieving the same functions at the lowest possible cost, without impairing on the quality, aesthetic, image, safety and functional performances of the building and at the same time improves the project schedules. VM programs commonly take the form of arranging a workshop in which the client, contractors, suppliers, manufacturers, specialists and other stakeholders involved take part and put forward suggestions for discussions and investigations (Harry, 2000). This will make the consultants and designers understand what a client will accept as the benchmark to measure the outcome of their investment (Leung, Chu and Lu, 2003). Consequently, the client will be provided with projects they can occupy, operate, maintain, at their preferred location, on schedule without compromising the require quality, function, aesthetic and images with acceptable comfort. If the client value system is not made explicit, consultants and designers merely focus on requirements that were not intended by a client. Thus, opportunity for maximizing concept, design, construction and maintenance might not be possible. However, the VM workshop or session is different from the normal project meeting as the objectives of each are distinct. Value management is defined as an organized set of procedures and processes that are introduced, purposely to enhance the function of a designs, services, facilities or systems at the lowest possible total cost of effective ownership, taken cognizance of the client’s value system for quality, reliability, durability, conformance, durability, aesthetic, time, and cost (Olanrewaju and Khairuddin, 2007). The methodology is about being creative, innovative, and susceptible to changes, consensus, enhancing the use of resources, analytical, togetherness and good communication (Stevens, 1997). Value engineering program is commonly carried out in the systematic stages of; feasibility, concept design, design development, construction and operations and occupancy phase of the projects (Table 1). The work activities are strategically carried out in the job plan. The job plan is the frame works that guide the systematic maneuvering of ideas to ensure that alternatives are not unnecessarily omitted (Ahuja and Walsh, 1983). The value management job plan is an organized framework that guides the processes of analyzing the project, products, services or components under study, to enable the development of numbers of viable economical and functional alternatives that meet clients’ requirements. The strict adherence to the framework ensures maximum benefits and offer greater chances for flexibility. It also ensures that no step or phase is over-sighted or omitted. The value management process can be broken down into various phases. Regardless of the number of phases in the process, the major activities still holds. In many cases, the phases are however broken down into five major phases. However, in this paper, it is broken onto nine major phases for easy understanding. Life cost of project of an item or element is mainly considered during two of the value management phases, namely, the evaluation phase and the development phase. Therefore, the next two sections will discuss in-depth the two main phase. This is the fifth phase in the value management methodologies. The evaluation phase is some time call the investigation phase. The evaluation phase is very important phase of the value management process. It is a strategic planning stage of the process (Stevens, 1997). The phase should be considered with the spirit of creative thinking that is associated with the analytical phase. The refined and modified results of the analytical phase are considered in detailed in evaluation phase, on one to one basis judging among themselves. Primarily, the basic activities of this phase is elimination, pruning, modifying and combining ideas in order to reduce the large quantity of ideas collected from the analytical stage to meaningful and workable ones. Generally, alternatives are evaluated in terms of its total cost, availability, technology, its merits, its constraints, ease of construction, effect on schedules of works, safety, ease of procurement, coordination (Bennett, 2003). The evaluation should not just be based on what similar design had cost before or currently cost, but the comparison should include physical appearance, similar properties, and methods of designs, technology and maintainability (Ahuj and Walsh, 1983). In the course of pruning ideas, some ideas might appear to have potentials but perhaps due to the prevalent technological advancement, they might not be considered. Those ideas should be put aside for later discussions with interested manufacturers or vendors for productions or purchase (Dell’Isola, 1982) where possible. Overall, the project must be looked at from different dimensions. In order to avoid fall-out during the evaluating process, a benchmark should be set against which to establish and measure whether idea should be rejected, pruned, modified or combined. However, it is important to invite some if not all members of the designing team in order to listen to their opinion regarding the evaluated alternatives, particularly, those that were selected. This is important in case they might have considered inculcating some of the analyzed alternatives earlier on. And, if they had, a request should be made as to why they did not consider using these alternatives. Their ground of rejection might be important to the study team (Kelly and Male, 2001) in search for better alternatives. Based on the outcome of the evaluation phase, some or the entire item will require further development so that best value proposal can be made more explicit. In other words, the purpose of this phase is to enable further development of the alternative proposals. The major activity that is performed in the development phase includes the preparation of alternative design and cost so that a justification can be made on the viability and feasibility of the new proposals (Dell’Isola, 1982; Ahuja & Walsh, 1983 and Ashworth, and Hogg, 2002). Further benchmarking is to be considered here aside the one in the preceding phase such as; if the idea will work and meet the client’s requirements considering the prevalent advancement of technology. In addition, the interests of the clients who will approve the recommendations require systematic consideration to avoid unnecessary objections. All the relevant information regarding the development of a project must be documented, as this will later be presented to the clients as evidence. The associated risk inherent in the alternative proposals are determined, documented and solutions proffer in advance (James, 1994). This section discusses the crossing point between value management and life cycle cost. But before proceeding, a brief discussion on how the two strategies relate with facility management is provided. The question can be asked, whether LCC or VM fit with facility management? Facilities include all fixed properties of an organization such as buildings, plants and equipments. Assets entail both fixed and non-fixed properties of an organisation. Facilities contribute significantly to the enhancement in productivities, profit-abilities and service quality of an organization. Facility management (FM) involves the management of all the services that support core business of an organization (Amaratunga, et al., 2000). FM focuses on meeting organization’s performance in terms of relationship between operational facilities and business outcome. Although, both VM or/ LCC are applicable to all classes of facilities (management), the focus of the classes of the facilities that this paper is concerned with are the constructed facilities and the building projects in particular. Building in this context involve the building’s fabrics, structure and engineering services. The value of a building is determined in relation to its current ability to provide user functional requirements, the current market value and the building condition and performance rating in comparison to that of a new building (Kyle, 2001). The roles are consistent with functions of professional including value managers, asset managers, facility managers and the real estate managers. One of the major functions of facility management is to ensure that building projects receive adequate maintenance in order to continue to function efficiently and effectively to support the organisation’s corporate objectives. Maintenance process is a fundamental stage in the building life cycle. Maintenance has to be initiated if the building is still functionally sound and cost-efficient to do so against procuring new building or embarking on activities including refurbishment, conversion and alteration. In order to ensure high building performance, maintenance must be considered from the initiation of the buildings. From the foregoing, the opening question is pertinent, because LCC is a technique that is used by the facility management organisation or team to procure value for money invested (Flanagan and Jewell, 2005). In other words, LCC enables facility managers to make informed decisions on how much to invest today for future economic benefits. While the needs for space requirements in an organisation can be triggered by organisation’s asset / facility management unit, the strategic nature of VM allows it to be explicitly clear whether the proposed facility is require and what nature and form it should takes. Generally, the primary functions of the facility managers concern the coordination of the needs of properties users, equipments and plants and operational activities taken place within the space (IREM, 2006). This role is different from that of the value managers. The feedback from the post occupancy evaluation, which forms part of the FM directive, can also serve as feedback to the VM workshop in order to provide best values to the stakeholders. In general, VM can be integrated into the largest context of FM (Green and Moss, 1998) as FM provides a wider platform for decision making throughout the building life cycle. Therefore, FM focuses on space planning. Thus, the combination of VM and FM would produce good outputs. Having provided connections between facility management, life cycle costing and value management, in the remaining paragraphs the discussion emphasises LCC and VM. Issues relating to LCC of facility have received wider acceptance, because what appears to be cheaper might in actual fact be expensive taking into account future-based costs. Therefore, when selecting a design solution capable of achieving the client value system, alternative that has the lowest cost, will in most cases be the first to be selected, if other performance criteria are satisfied. However, criteria like aesthetic (inspiring and harmonious), images (reputable and progressive), fitness for purpose, sustainability, buildablity, maintainability, technology, quality, safety, convenience, comfort, reliability must be included if best value is to be achieved. Construction clients are becoming more demanding, complex, sophisticated and in fact wiser compare to how they use to be in the past. Today’s clients want to see and in fact have projects that will perform the required functions; that costs less, be sustainable, completed within shortest possible time and also meet other basic requirements (Fong, 1999). Whereas, life cycle costing concentrate on the cost criteria (capital, operation and maintenance cost though), value management takes account all of the criteria within the client value system. Indeed, today clients are taking into account various set of complex algorithm that defined value to them (Halil, and Celik, 1999). The benefits and satisfactions they are getting from other industries like the automobile, aircraft industries are all fascinating experience. These are also making them to be more aggressive with the construction industry. The LCC techniques might be capable of providing best price, but best price does not in any way connote best value. LCC is introduced after it has been decided that the best alternative proposals that will meet the client’s corporate objective is construction project, whereas VM examine the client’s business case to establish what type of “projects” a client required. Project in this stage is not necessarily a construction projects, but any alternatives that would provide the best return for the client’s investment in terms of money, time and other criteria of their value system. VM precedes other strategies in that it is introduced before the design even commences (Kelly and Male, 2001; (Qipping, and Liu, 2004 and Shen, 2004). It is also unique in that it makes explicitly the client value system and goes ahead to determine weather the projects is desirable, viable and feasible before any commitment is made to whether to build or not. In that regards, it entail getting it right from the concept. It is only when the correct problem is identified that the correct solution can be developed. Regardless of the sophistication of the instrument used, if the client’s needs and wants are not known, it is either the projects is abandoned, completed but unoccupied or very expensive to operate and maintain. While LCC is tactical; VM is both strategic and systemic. While the LCC could be described as a strategy that provides answer to the question “how do we do it efficiently”, VM ask and provide answer to the question “why do we do it-why do we need the projects”. This is achieved using the functional analytical procedure of the VM. VM is certainly not a replacement alternative to the previous cost saving approach but it is certainly a viable alternative for achieving client value system (Ahuja and Walsh, 1983). In the value management of construction projects, techniques like the supply chain, risk management, procurement, system engineering, concurrent engineering, safety management and partnering are applied during the development stage of the VM workshop; when developing alternative proposals, elements, components, equipments, items, materials and construction methods that provide value for money to the client. Therefore, these techniques are tools in the kits of the value management process. Apart from the LCC technique, VM makes used of other tools and techniques including, functional analysis, decision matrix, criteria scoring, brainstorming and functional cost model, SWOT analysis, supply chain analysis, risk analysis and checklists. To underscore the holistic and uniqueness of value management, various writers including Male, et al., (1998) and Fong (2004) have found that value management is more involving and unique than many methods / systems including total quality management, supply chain management, risk management, time management, cost management and lean construction. The study has been able to investigate the relationship between value management and life cycle costing through literature review. This is done by bringing the theory behind each of the concept into context through literature survey. The paper has revisited the debate on VM and LCC which began sometime ago perhaps unnoticed. While the exact time cannot be traced the debate probably began on the arrival of the VM into the construction scene around 1960. This paper should be regarded as reflective contributions of the authors to the debate about the two concepts and tools. Life cycle costing technique is specific to particular stages and it is useful when it has been established that a “project” will satisfied the client requirements. The techniques and tools used in VM are not new per se, however the methodologies, consistent, systematic and holistic ways they are applied in VM is prominent. While value management has reached certain level of popularity and maturity, the LCC is yet to gain similar recognition even in the construction. In conclusion, hopefully, we have been able to provide intermediate interpretations of the two concepts because we do not intend to provide extreme viewpoints. This paper does not claim that total cost of building is not important, but what it claimed is that, the value of projects does not ends with the consideration of the cost alone. Many “soft or qualitative” issues in actual fact are more important to the “hard or engineering” issues in majority or all of the cases. Perhaps, we should also add that considerations of the quality and completion time of project are also engineering or hard issues. Our aim is to provide a broad overview over a significant, yet complex issue and the emphasis has been to demonstrate the connection between the two concepts. Since we are aware of the bias that might creep into research like, attempts were made consciously to bring them to the barest level even though it is very difficult to eliminate it altogether. The conclusions of this paper are based on literature review In future primary data through survey or case studies will be collected from those that are consider to have adequate knowledge on the two techniques to see how our opinions differ from that of others’. On a final note, VM is about getting the initial concept right from the word “go”! Best, R., and de Valence, G., (eds) (2002), Design and Construction: Building in value, Butterworth – Heinemann, Woburn. James O. J. (1994), Preconstruction Estimating: Budget through Bid. USA: McGraw – Hill Inc.
Morton, R. and Jaggar D. (1995), Design and the economics of building, London: E and FN Spon. Olanrewaju, A. A., and Khairuddin, A. (2007), Determining whether Value Management is practiced in the Nigerian Construction Industry, In: Proceeding of Quantity Surveying International Convention (QSIC). Jointly organized by Visit Malaysia 2—7; International Islamic University Malaysia; Board of Quantity Surveyors Malaysia; Institution of Surveyors Malaysia; JKR and CIDB. Held on 4-5th September 2007, Kuala Lumpur. 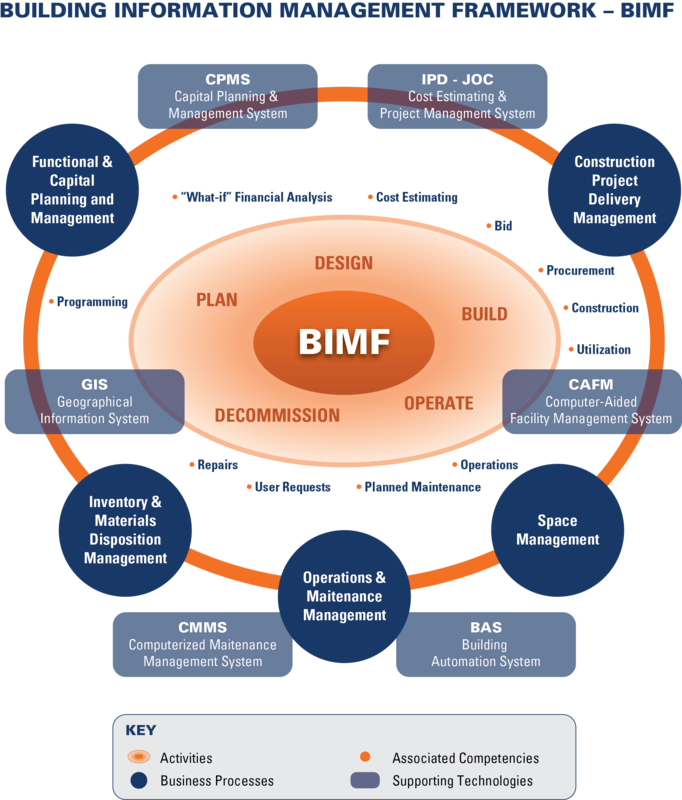 BIM is the life-cycle management of facilities (built structures) supported by digital technology. 3D visualization tools, aka Revit, Archicad, etc. 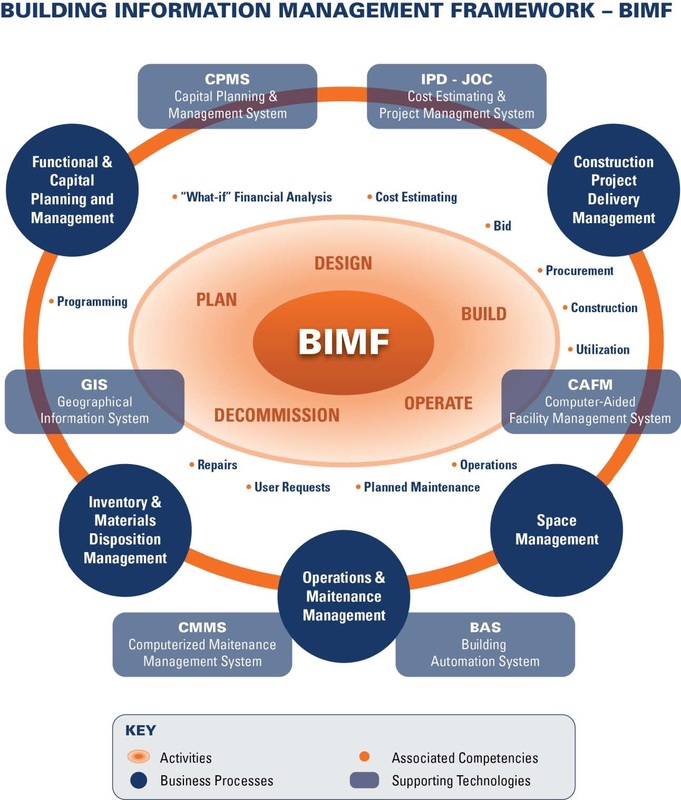 simply components of BIM. 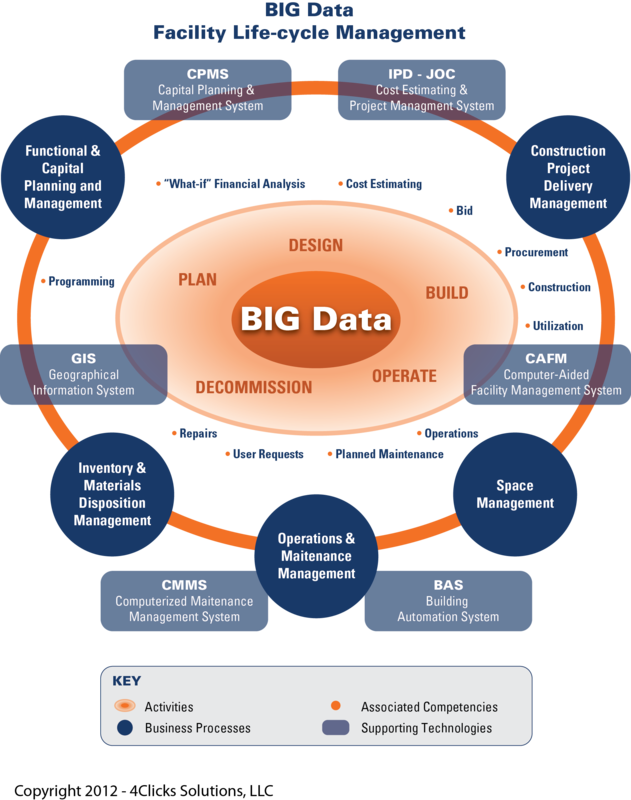 Other components include, capital planning and management systems (CPMS), cost estimating and project delivery systems (IPD – integrated project delivery, JOC – job order contracting), computerized maintenance management systems (CMMS), building automation systems (BAS), geographic information systems (GIS), and others. The BuildingSMART alliance™ (Alliance) is the premier organization in the United States chartered to coordinate and provide technical development; standards development and adoption; and political, and financial support for advanced digital technology in the real property industry—from concept, design and construction through operations and management. The buildingSMART alliance operates within the independent nonprofit National Institute of Building Sciences (Institute). 3. Cultural is the primary barrier to efficient construction delivery, not technology. Information is currently exchanged by disparate teams, in different ways and with different content for the same purpose. 4. Paper-centric process, email, phone create even more problems. 5. 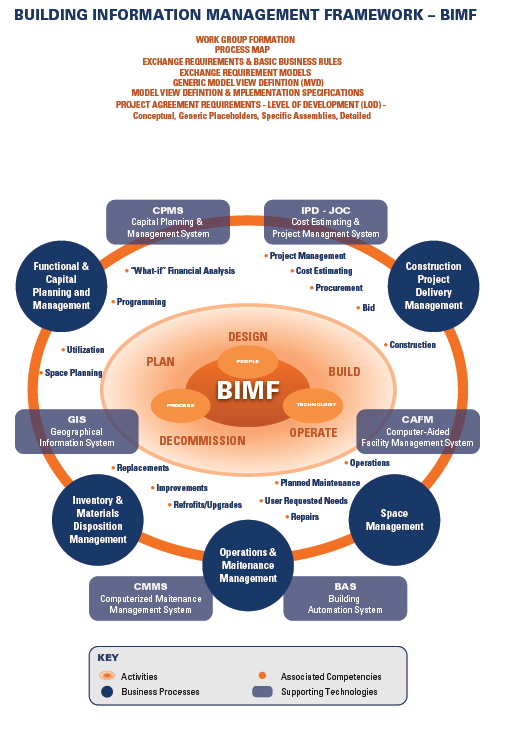 In order to take advance of BIM and digital technology…. PROCESS MUST CHANGE! via http://www.4Clicks.com – Premier software for cost estimating and efficient project delivery. Best representation of RSMeans Cost Data with exclusively enhanced 400,000 line item database. JOC, SABER, IPD, IDIQ, SABER, SATOC, MATOC, MACC, POCA, BOA…. Owners, Contractors, Subs, and AEs, manage multiple estimates, projects, and contractors… all in one program! Let’s face it, the virtually singularly low rate of productivity of the AECOO (architecture, engineering, construction, operations, owner) sector for the past several decades is due to our CULTURE. As a group, we are kings of the “not invented here” syndrome… or the “my way is the better way” syndrome. Also, the “let’s keep the Owner in the dark” or the “let’s not work together”, and the “bid low and make it up in change orders” , or “let’s accept the lowest bid and hope for the best” approaches to ruin. As I’ve previously noted, the altered world economic and environmental landscapes will force CULTURAL change in our industry. Architects, Engineers, and Contractors new motto will be “our best customer is a smart customer”. Why? It’s simple, collaboration and improved “cradle to cradle” facility life-cycle management approaches will be required for survival. 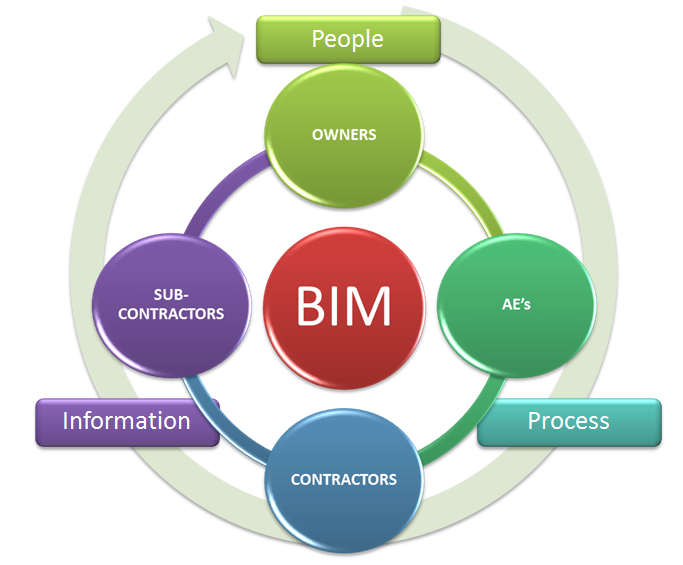 Furthermore, cloud computing and proven collaborative construction delivery methods such as Integrated Project Delivery (IPD) and “IPD-lite”, also known as Job Order Contracting, the latter for facility repair, renovation, sustainability and minor new construction, will converge to enable knowledge sharing among all facility stakeholders. National Institute of Building Sciences to Work Together on Promoting Building Industry Research and Knowledge is just one indication of the our “changing AECOO landscape”. It demonstrates the two organizations’ mutual interest in the design, construction, operations and maintenance of high-performance buildings and the desire… no better yet the recognized NEED TO COLLABORATE on issues surrounding these topics. A primary initial goal of the “partnership” is the joint development of an on-line portal for building industry research and knowledge. It’s amazing how many in our industry are not even aware of NIBS or Smart Building Alliance. 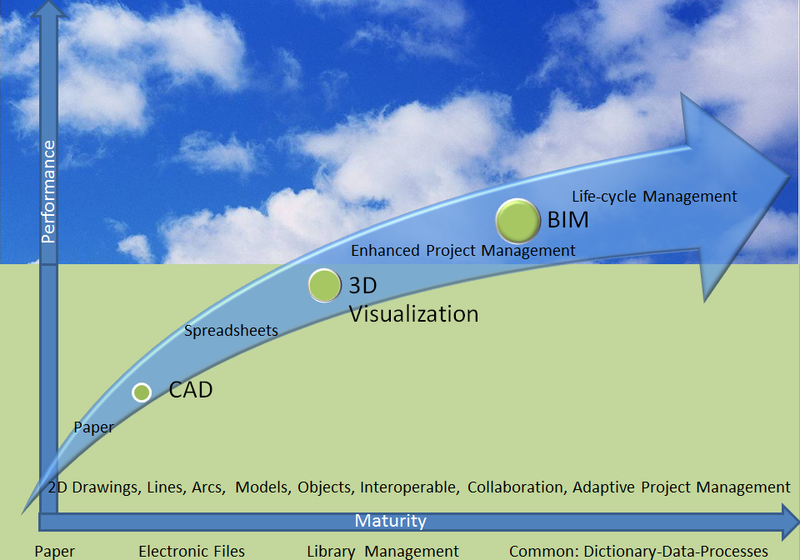 The march toward BIM, and recognizing its true potential as “efficient building life-cycle management support by technology and standardized processes, taxonomy, etc.” vs. “pretty 3D pictures” will know hopefully gain traction and momentum. via http://www.4Clicks.com – premier software for cost estimating and efficient project delivery – JOC, SABER, IPD, SATOC, MATOC, IDIQ, POCA, MACC, BOA …. Interoperability is a common “buzzword” used whenever you here a discussion about improving productivity with the AECOO (Architecture, Engineering, Construction, Owners, Operations) industry sector. Unfortunately, it is a term associated with primarily with technology, and its usage implies that interoperability from a technology perspective is a major, if not THE major stumbling block to construction sector productivity improvement. This “assumption” would be blatantly false. Drastic culture and process are the requirements for mitigating waste within the AECOO sector. The primary issue that dictates the tone and efficiency of any facility construction, renovation, repair, or sustainability project is process related… and is “the construction project delivery method”. Assuming capable parties in each “knowledge domain” the delivery method must provide for, support, and monitor collaboration, transparency, and accuracy. Common taxonomies, cost data bases, etc. play a role, as does supporting technology that embeds and distributes consistent processes. 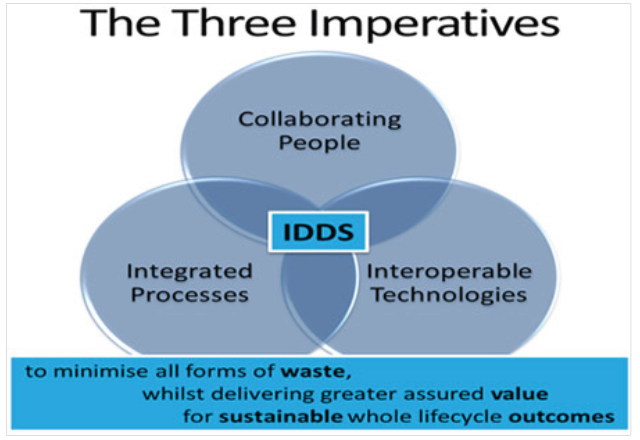 While its true that cloud computing is an enabler, with its role to support the cost effective integration of various knowledge domains and technology silos; the underlies processes linked to a collaborative project delivery method focused upon life-cycle management is the critical aspect. Integrated project delivery (IPD) and job order contracting (JOC) – the latter also referred to as IPD-lite as it target renovation, repair, and sustainability vs. new construction – are current examples of proven efficient construction approaches that dramatically alter the “status quo”. Common taxonomy plays a key role and is also generally overlooked. For example, cost estimators, even today, primarily rely upon spreadsheets and customized cost databases vs. integrating powerful software packages and standardized cost databases (ie RSMeans). “Doing it my way” and exclusively using spreadsheets prohibits efficient information reuse, is prone to data and formula errors, and create largely unsupportable databases. How can multiple cost estimators share information on a project, or communicate with Owners, Contractors, AE’s, Subs, etc… if they aren’t speaking the same language? They can’t… and they don’t. 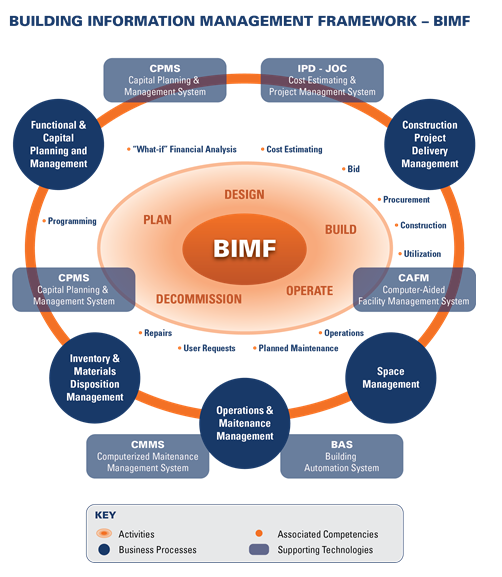 And this is just one example of many…across multiple knowledge domains whether it be capital planning and management, maintenance and repair management, building automation systems, procurement, bidding, project delivery, ….. The AECOO sector can’t even begin a discussion about achieving higher levels of interoperability, exchanging BIM models and data, etc., until it shifts its focus exclusively to culture and process change. We don’t even have a common understanding of BIM, let alone sharing BIM models. Even today, many view BIM as 3D visualization, vs. life-cycle building management supported by technology! We need to recognize that design-bid-build (DBB) and even design-build (DB) and the associated “accepted” practices of change orders and lawsuits are contrary to the basic tenants of productivity, collaboration, transparency, and accuracy. Certainly it is true that our industry is fragmented and relatively slow at adoption of new technology, however, this is due to our culture, and our lack of efficient processes. 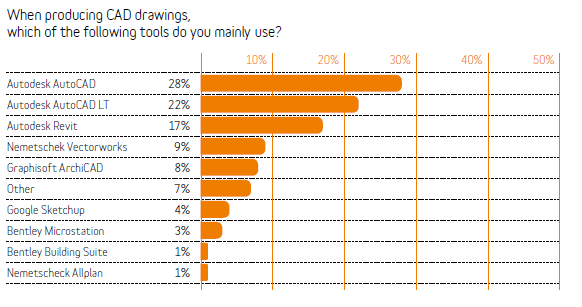 U.K. National BIM Survey Released 2012 – BIM in UK as Confusing as in the US? As annual industry wide survey, carried out by NBS was completed in late 2011 by nearly 1,000 construction professionals representing a range of business sizes and disciplines from across the industry in the UK, including architecture, engineering and surveying. Over 200 RIBA members were among the participants, making sure the views of the membership came across. 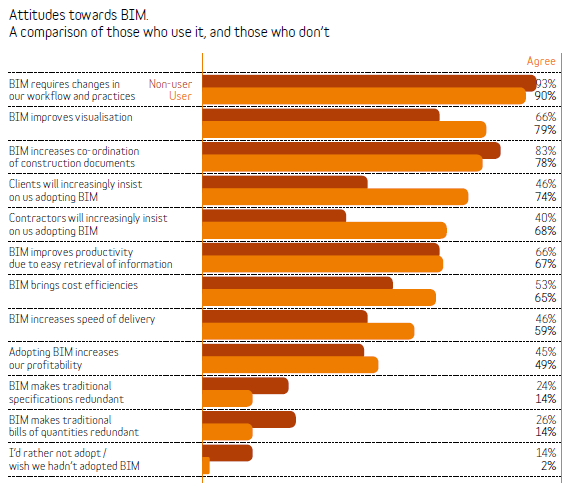 80%+ agreed BIM increases the coordination of construction documents, with 65% of those using the technology saying BIM delivered cost efficiencies. 1000 Respondents from a range of business sizes, with a quarter coming from very small organisations (one or two employees) and 14% coming from very large businesses (more than 500 employees). A majority, 52%, of respondents came from organisations with 15 or fewer employees. 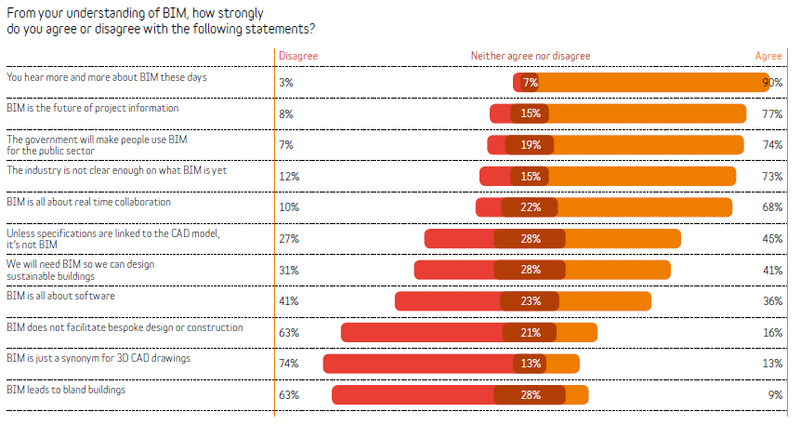 Unfortunately, the second NBS National BIM Survey provides a potentially worrying picture of a divided UK construction industry in which real progress has been made but where real areas of inertia remain. it still heresy to say that construction is endemic with waste? expectedly, the clue is in the title: constructing a managed digital information 3D model of an asset (interesting as 3D is NOT in the title), be it a building or an infrastructure project (both new-build or retained estate) that is infused with data. This information model can be used to inform the decision-making process and answer questions throughout the entire project life-cycle. In order for this process to be effectively implemented, however, it needs to be undertaken in a truly collaborative environment (with iterative feedback loops), and here lies the real challenge. Manifesting BIM beyond the technology and process to a cultural paradigm shift (never easy) is where the real challenge lies. 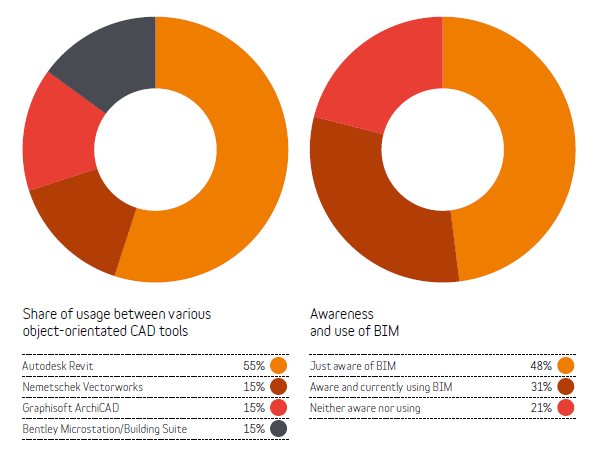 BIM is very much more a verb than a noun. construction arena have the apposite blend of knowledge and skills: a BIM literacy to fit their function. Although much has been written about BIM, few have truly considered it from the perspective of the Client. …the real big value proposition lies in the bandwidth consequent to practical completion where the data (in our case COBie) and model outcomes can be used to ensure optimal asset performance… Modelling for better user outcomes and being able to feed this data back to inform future projects is where the real Client value proposition sits. In the current commercial environment the ability to do more for less has been a considerable advantage. Being able to offer additional services outside our traditional scope has helped to differentiate us in a difficult market particularly with services like Quantity-Take-Off. We are also confident that the consistency in our output is generating repeat business, not least because mwe have been able to drive efficiencies from project to project as our database of standard components has become richer. 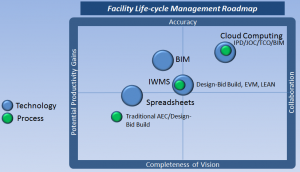 maximize facility planning and management. owner and operator (AECOO) sector.